New ILO Member Serving Cobourg Coming Soon! According to the official site of the Cobourg police, there were180 collisions from January 1st to June 30th of 2015. Car accidents are an unfortunately all too common occurrence that often result in numerous injuries, including loss of limbs, mobility, and sometimes, even loss of life. These incidents typically affect not only the victims of the accident but their family and loved ones, as well. This is particularly true of accidents that result in death. Family members and loved ones are left with emotional trauma and often, financial repercussions from the loss of their loved one. This can include a lot more than just funeral and burial costs, but also the loss of income if the victim was a breadwinner of the family. As well as dealing with overwhelming emotional strain, families must make many decisions and adjustments that arise from the sudden death of someone close to them. On January 24th, 2014, a number of successive vehicle collisions involving almost 30 cars and trucks occurred on this one day on Hwy. 401 near Cobourg, due to hazardous winter driving conditions, and 10 people were taken to the hospital as a result. In February of the same year, there was another vehicle pileup on the same section of highway, involving multiple vehicles and at least 8 tractor trailer trucks. On January 31st 2015, one pedestrian was killed and another pedestrian suffered severe injuries after a catastrophic collision with a pickup truck on County Rd. 45. Car accidents are only one of the potential causes of personal injury that individuals face in the city of Cobourg. Injuries may be sustained from an animal attack; slipping and falling at work, in a store or on ice; physical attacks; product defects; recreational accidents; and other means. 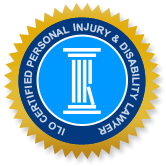 It is important to understand and recognize when you or a loved one is a victim of a personal injury and the best way to go about getting the justice you or they, deserve.